Pelotonia Columbus Bike Race Coming Up! Pelotonia is a two day bike tour that benefits The Ohio State University Comprehensive Cancer Center-Arthur G. James Cancer Hospital and Richard J. Solove Research Institute. August 8th marks the opening ceremonies and the bike racing will take place on August 9th and 10th. Before Tuesday July 8th, the registration fee is $100, but afterward the fee increases to $150. Apart from signing up as a biker, there is a “virtual rider” option where people can fundraise money without participating in the bike racing. Operating expenses for the race are all covered by sponsors such as Limited Brands Corporation, Huntington Bank, the Richard and Peggy Santulli Foundation, AEP, and Nationwide. This allows for all the proceeds from riders and donors to go directly towards cancer research idea grants and fellowship programs. So far over 6000 riders have registered and nearly 4 million dollars has been raised. In the last five years Pelotonia has been in existence, they have raised over 61 million and volunteer/rider registrations are only growing. Our partners are having their 2nd annual Fourth of July 5K on Friday, July 4th beginning at 8am. The race will finish in time for the Independence Day parade and proceeds raise money towards two local charities: LifeCare Alliance and the New Albany Symphony Orchestra. Neat things offered at the event include a Tech-shirt, ChildCare service for younger kids, and a variety of events for all ages! Last year over 600 people showed up! Other runs that can prepare you for the Independence Day Run…. This unique race will be taking place at Franklin County Fairground and raises money towards the Leukemia and Lymphoma Society. Anyone who registers will receive an event T-shirt, 3 pcs GloGear and a bib ticket. If you form a team of 5 you will also receive a free pair of glow glasses. You will be running this nighttime 5K through big glowing tunnels while sporting glow bracelets, necklaces and paint! If this doesn’t sound fun enough, after the race there will be a live DJ dance jam! This event will be taking place at Pickerington High School North and honors cancer survivors, brings awareness to the disease, and raises money for the American Cancer Society. The relay is a 24 hour event that takes place around a track. People will be taking turns walking the track while others camp out and experience the food, music and entertainment. Each year 4 million people take place in Relay for Life events in 20 different countries around the world! The James 5K Race Series includes five different race events in Columbus that benefit five different cancer research areas at The Ohio State University Comprehensive Cancer Center. The races are spread out over the course of the next few months and has 3,200 participants where they plan to raise $247,000 annually. 1. Move MMore 5K. This 7th annual race will be taking place June 7 at 8:30am. The race is located in Wolfe Park in Bexley, Ohio and proceeds benefits multiple myeloma cancer research. 2. The Jack Roth 5K Rock and Run/Walk. This 9th annual race will be taking place June 8 at 9am. The race is located at Bexley High School and proceeds benefit lung cancer research and treatment. Some proceeds also go towards Camp Netaim, a special needs program for kids. 3. Clunger Beats 5000. This 2nd annual race will be taking place on August 31. The race is located at the Ohio State University stadium and proceeds benefit adult lymphoblastic leukemia. 4. Steps for Sarcoma. This 5th annual race will be taking place on September 14 starting at 9am. The race is located at Wendy’s International in Dublin Ohio and proceeds benefit orthopedic sarcoma cancer research. 5. Courage Conquer and Cure 5K. This 3rd annual race will be taking place on October 4 starting at 8:15am. The race is located in Historic Canal Winchester and proceeds benefit the Stefanie Spielman fund for breast cancer research. When preparing for a 5K, such as our upcoming 5th Lifting Hopes Annual Pump and Run, there are many nutritional tips to keep in mind! First, start keeping track of what you are putting into your body everyday; this can easily be done with a food log. When it comes to protein such as egg, lean meats, etc, try to eat two portions per day. You should also be aiming for 5 portions of carbohydrates, 3 portions of dairy, and at least 5 portions of fruits and vegetables daily. These portion goals all contribute to your energy level and allow you to have enough fuel for your activity plan. Be sure to avoid foods with high sugar content because it will only provide you with short-term energy, and you will crash soon after consumption. Additionally to eating the right foods, hydration is crucial. You may have heard drinking eight glasses of water a day is a good lesson to live by, but it’s actually more sensible to follow a formula based on your body weight. Using this formula avoids excessive fluid consumption, which can causes runners to experience cramping, drowsiness, and in extreme cases even death. Remember to follow these tips when you’re preparing for our upcoming Lifting Hopes Pump and Run, taking place on October 11th! If you haven’t signed up already, be sure to register by visiting our Home Page or visiting https://www.premierraces.com/registration/register_step1.asp?eventID=1017. Downtown Columbus was covered in pink balloons, pink arches and even pink wigs this past weekend, all showing support towards the fight against breast cancer. This past Saturday May 17, 45,000 runners, walkers and stroller-pushers participated in the 22nd Annual Komen Columbus Race for the Cure. Despite the colder weather, supporters still came out with positive attitudes sporting their pink. Participants ranged from cancer survivors, to those who have friends or family member fighting cancer. Ron Coleman was named the Honorary Chairman for this years race. Coleman was diagnosed in 2006 with breast cancer, but after a mastectomy and four rounds of chemotherapy, he is now a cancer survivor. Coleman participated in the race along with his team of 30 called “Coleman 4 A Cure.” He hopes to improve awareness of breast cancer in men and help people better understand the disease. Thanks to all those who participated! This years race raised over $500,000! Tina Husted Named 2014 Lifting Hopes Honorary Chair! Tina Husted has been named the Lifting Hopes 2014 honorary chair for her participation and wins in races as well as her passion towards the fight against cancer. She recently finished first in the Women’s Cap City Half Marathon where nearly 5000 runners participated. Not to mention she’s a three time women’s first place winner in the Dublin half marathon and a two time back-to-back first place winner in the women’s category for the Arnold Pump and Run. When she’s not participating in marathons and other races she is busy with her own fundraising, work, and family. Tina works as a real estate agent, runs her own personal training business, and is the head coach for the Worthington Christian Middle School’s track team. If you don’t think that would make her busy enough, she, along with her family, established and raises money for an endowment fund dedicated to brain cancer research. Thanks for all that you do, Tina! Can You Help Us Reach 100? Today’s number is 92. That’s the number of registrations we have for Sunday’s 5K Pump & Run in New Albany. To break on the hard costs of the event (timing chips, race administration, etc) we need 100 people! After our 100th registrant every penny from the raffle, on site donations and other event day activities goes directly to Central Ohio families fighting cancer. Can you help us get to 100 by telling a friend about the event or sharing this status? Registration for the run is only $15. 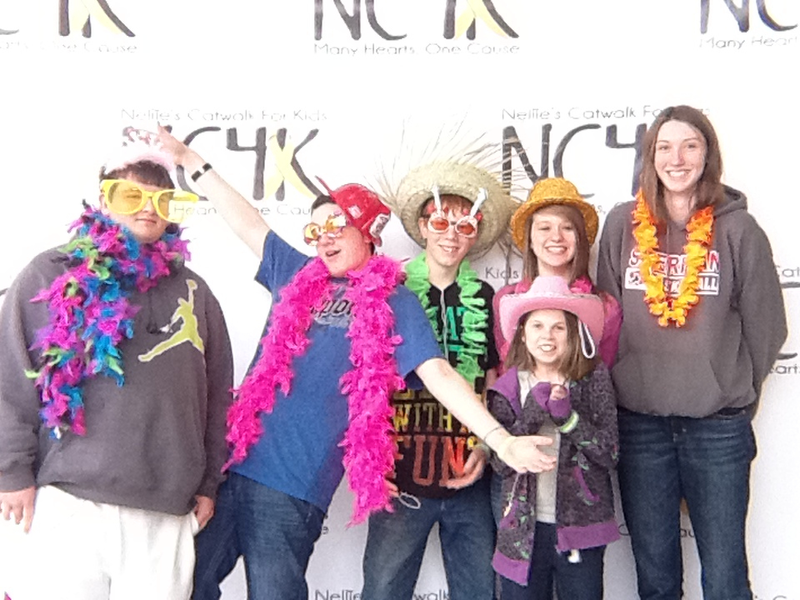 Nellie Krumlauf of Nellie’s Catwalk for Kids (NC4K) is the honorary chair for this year’s Lifting Hopes Pump and Run. We have tremendous respect for Nellie and all her group does for families battling cancer. She is a true inspiration and we are delighted to be joining forces with her! Learn more about NC4K here: http://www.catwalk4kids.com/ and come meet Nellie in October! Mike Wolfe, who just last November represented Team USA at the World Powerlifting Conference is going to be our special guest this year! Did we mention Mike placed first IN THE WORLD in the Super Heavyweight Bench Press division at the Conference? That’s right, you can bench press next to one of the biggest, strongest benchers on the planet! 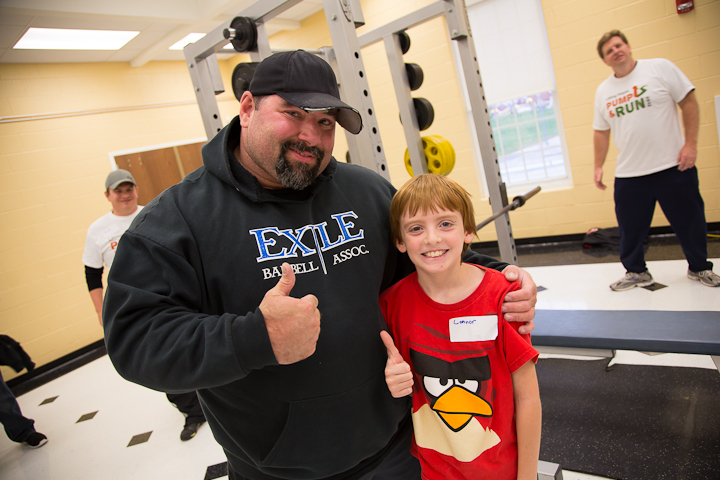 Mike has supported Lifting Hopes and other children’s causes for years. For those who have met him at past events, you know he is always there to offer encouragement and advice to all our participants. His heart is as big as his bench, and for a guy how has pushed 900lbs, that says a lot! Thanks for your support Mike! 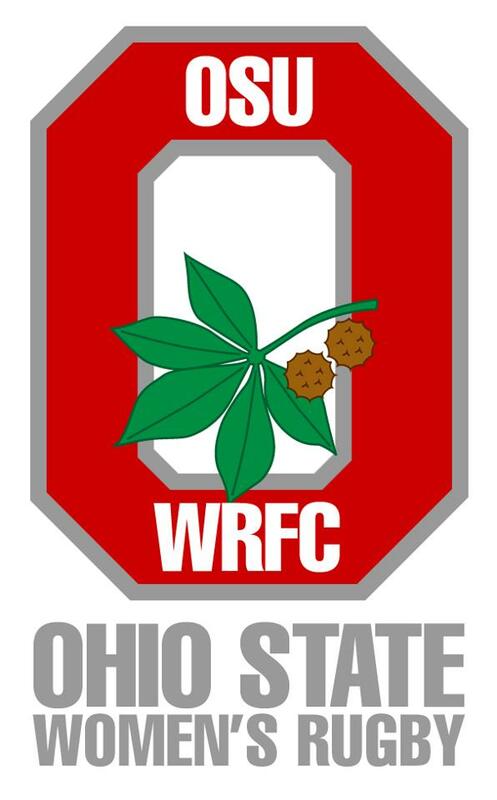 The Ohio State Women’s Rugby Club currently ranked #6 in the country is excited to be a part of Lifting Hopes in support of the Chapel Hill House. The women of The OSU Rugby Club will be helping out by spotting our benchers, counting reps and participating! We can’t say thank you enough for helping us help kids and families battling cancer.